What is Fe-360C Steels? Fe-360C steel is a structural billet steel for structural applications. Fe-360C is a material grade and designation defined in ISO 630 standard. ISO 630 is an international material standard for billet steel for general structural usage. Fe-360C Steel is similar to Fe-360B steel except minor tolerances in chemical composition. 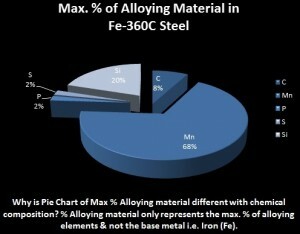 Dimensional Characteristics of Fe-360C Steels: The applicable thickness for this Fe-360C material as defined in the ISO 630 starts from 10 mm to 200 mm. Maximum percentage of Carbon (C) is 0.17. Maximum percentage of Manganese (Mn) is 1.4. Maximum percentage of Sulphur (S) is 0.040. Maximum percentage of Silicon (Si) is 0.40. Mechanical Properties of Fe-360C Steels: The tensile strength of the Fe-360C Steels is expressed in Newton per millimeters and it must be at-least 340 N/mm2 (MPa) and maximum can be 470 N/mm2 (MPa). The yield strength is minimum 235 N/mm2 (MPa) for less than 16 mm, 225 N/mm2 (MPa) for 16 mm to 40 mm, 215 N/mm2 (MPa) for 40mm to 60mm and 185 N/mm2 for 150mm to 200mm. The minimum percentage ranges for elongation is 21% thicknesses. Billets are also used for manufacturing of hot rolled steel. 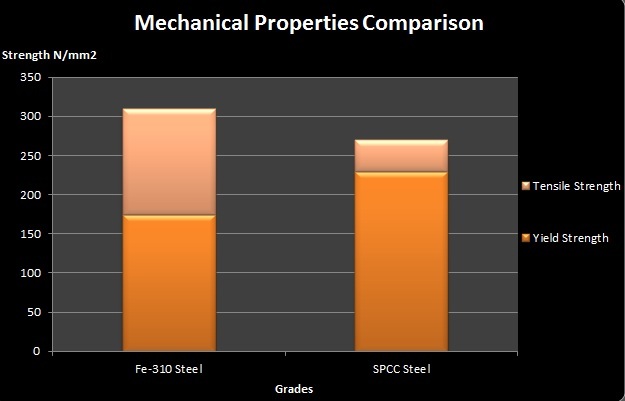 SPHC steel is a most common example of hot rolled steel.